Five Star Bath Solutions Of Oklahoma City delivers the highest quality materials and professional bathroom remodeling services, while respecting your time, space, AND budget. We provide five star quality bathroom renovations WITHOUT the five star price. Period. From bath accessories and enhancements to bathroom remodels, we deliver beautiful bathing space transformations to your home all while being Clean, On-Time & On-Budget - Guaranteed. We proudly serve Oklahoma City, Edmond, Norman, Yukon, Bethany, Piedmont and all surrounding areas. For a limited time GET 10% OFF! when you schedule online for your free In-Home Consultation. Professional bath remodeling in Oklahoma City for new showers, tubs and more. We provide affordable Oklahoma City bathroom remodeling solutions and a detailed quote for your consideration in the comfort of your home. Serving: Oklahoma City and all surrounding areas. Are you thinking about renovating your bathroom? Do you want to make your bathroom more comfortable, elegant, and stylish? Do you wish to make your bathroom a relaxing place? Let Five Star Bath Solutions of Oklahoma City help you make the transformation for you. Five Star Bath Solutions of Oklahoma City promises you that you will receive nothing but the finest quality products and services. With our decades of experience and commitment to complete customer satisfaction, we are able to provide the best quality bathroom renovation solution. We provide both full and partial bathroom renovation solutions. You can rest assured that our services will not just meet but exceed your expectations in every way. For no cost and no-obligation free quote regarding your bathroom renovation project, contact Five Star Bath Solutions of Oklahoma City now at (405) 266-1883. One of our estimators will get in touch with you and help you make the best decision regarding your bathroom renovation project. Take advantage of our free, in-home consultations and estimates today. Call us at (405) 266-1883! You may be wondering why you should choose Five Star Bath Solutions of Oklahoma City for your bathroom remodeling services. There are so many other bathroom remodeling companies. Why should you choose us? When it comes to quality and affordable bathroom renovation services, there are not many companies that can compete with us. Five Star Bath Solutions of Oklahoma City offers comprehensive bathroom renovation solutions that suit the needs of different customers. We go to great lengths to determine your exact requirements. Once you call us for bathroom renovation services, our team will visit you for an initial consultation. We will go over your exact requirements, identify the existing space, and offer you the best advice regarding the bathroom renovation. Our installers will then come to your place and bring the transformation you desire. What's best is that you don't have to wait long for the bathroom renovation solution. We can provide you the solution that you want at the price that is right for you. For more information about our affordable and dependable services, contact us today at (405) 266-1883. Take advantage of our free, free, in-home consultations and estimates today. Call us at (405) 266-1883! Five Star Bath Solutions of Oklahoma City can complete the bathroom renovation in just one day. Our professional bathroom remodelers are trained to offer the best bathroom renovation services. The experts can remodel your bathroom to your exact requirements without leaving any mess. Five Star Bath Solutions of Oklahoma City strives to offer the very best quality services to the clients. You can rest assured that we will do an expert job in renovating the bathroom. Whether you require a simple or a complex bathroom renovation, we will strive to meet and exceed your expectations. When you contact us, we will help you in selecting the best materials and design. Our commitment to customer satisfaction has allowed us to become the preferred bathroom renovation experts in Oklahoma City. Whatever your dream, we can help you make it a reality. Due to our commitment to excellence and quality, our customers put great trust in our expert services. When it comes to quality and affordable bathroom renovation services, not many companies can compete with us. We are the leading provider of quality bathroom remodeling materials and services. Whether you want a partial or complete transformation of your bathroom, we can make it happen for you. For a free no-obligation, initial consultation, contact us today at (405) 266-1883. We can help you in making the right decision regarding your bathroom. Whether you want to convert your bathtub to a shower, or do an entire makeover of your bathroom, you can count on Five Star Bath Solutions of Oklahoma City to do an exceptional job for you. We offer a range of bathroom remodeling solutions. 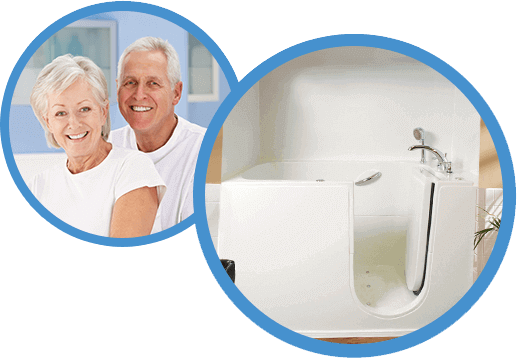 Contact us for custom acrylic tub liners, bath wall systems, and hydrotherapy bath solutions. We can offer you all this and more. Five Star Bath Solutions of Oklahoma City offers the following services to our customers. Five Star Bath Solutions of Oklahoma City provides both shower-to-bath and bath-to-shower conversions. We know that everyone wants the best solution for them. We appreciate this and offer all types of bathroom renovation solutions. At Five Star Bath Solutions of Oklahoma City, we have a range of bathroom accessories to suit different needs. We offer exceptional quality services to our clients. You can rest assured that all our products will stand the test of time. The bathroom accessories can make your bathroom more comfortable and elegant. Whatever your style and demand needs, you can find the perfect match when you contact us for your bathroom renovation. Whether you want shower caddies, bath walls, soap dishes, or curtain rods, we can provide you the best quality accessories. Five Star Bath Solutions of Oklahoma City knows the challenges faced by seniors and those with disabilities in using the bathroom. That is why we offer a complete range of ADA-compliant solutions that can make the bathroom a relaxing and safe place for all. Do you want to improve the look and functionality of your bathtub? If so, you should consider installing the bath wall system. Five Star Bath Solutions of Oklahoma City provides a range of bath wall systems that meet the needs of different individuals. The bath wall systems are easy to clean and do not require much maintenance. Founded in 1996, we have been offering excellent quality bathroom renovation services. You can count on Five Star Bath Solutions of Oklahoma City for both complex and simple bathroom renovation tasks. Our experts can provide you with the solution that will make your bathroom more pleasant, comfortable, and elegant. Five Star Bath Solutions of Oklahoma City is eager to offer the very best services to all of our customers. From the moment that you call us, you can expect to receive the highest quality services. We guide our customers in making the right decisions when it comes to bathroom renovation. We can help you pick the right products and ensure that your needs are fulfilled. Serving: We serve Oklahoma City, Edmond, Norman, Yukon, Bethany, and Piedmont and all surrounding areas. Having a hard time cleaning your shower space? Five Star Bath Solutions Of Oklahoma City materials make your shower easy to clean and maintain, in addition to protecting your walls from water.